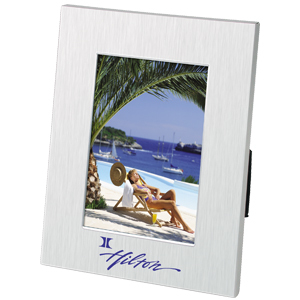 Brushed stainless steel frame as timeless as your memories, to showcase their images & your image. Gorgeous brushed stainless steel frame. Standard Production Time: Please allow 7-10 days after artwork approval. Custom Logo Imprinted 4 x 6 Stainless Steel Frame. Price includes one color / one position silkscreen imprint. Screen charge: $50(V) per color / position / style. Standard Service: 7 - 10 working days after paper proof approval. Debossed logo / PF1010 add $1.25(V) each unit plus tooling $90(V). Debossed production time: 6 - 8 weeks after paper proof approval. Repeat orders (screen): $35(V) per color / position / style. Less than minimum: add $75(V) per color / position / style. Please see call Embrace Smiles for additional run charges and imprint details. 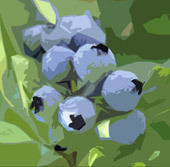 Size :9"H x 7"W x 1/4"
Production Time :7 - 10 Working days*.